Marinate your tofu! Whisk water, liquid aminos, vinegar, garlic, and pepper flakes and a shallow dish. I use a pie plate. 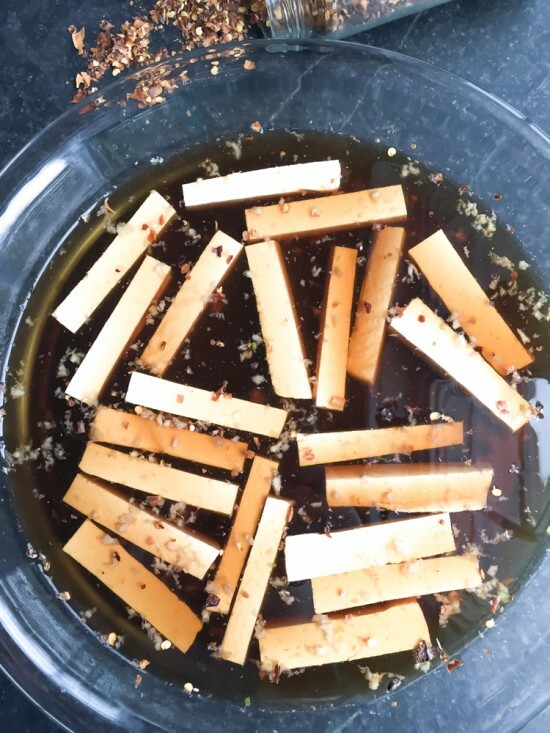 Cut your tofu into strips and place them in the liquid. Let sit for at least a couple of hours. I recommend over night. 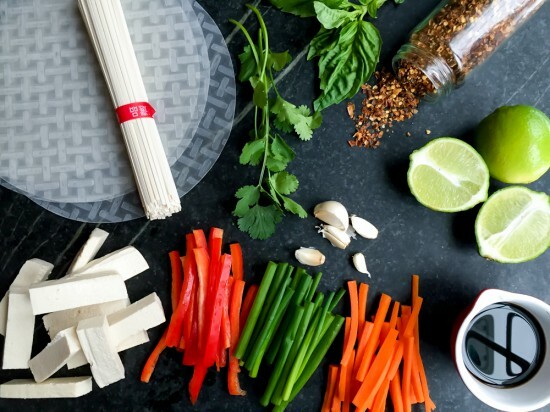 Make the pad thai sauce! In a small bowl whisk liquid aminos, lime juice, agave, sesame oil, garlic, and red pepper flakes. Set aside. Make the Peanut Sauce! In a small bowl, whisk lime, peanut butter, liquid aminos, sesame oil, water, agave, sriracha, garlic, and sesame seeds until smooth. Set aside. Add your noodles to a pot of boiling water. Cook as directed. 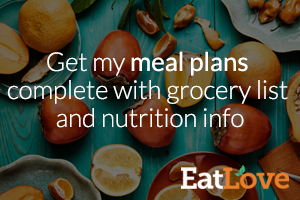 While your noodles are cooking, add the coconut oil to a hot skillet. Remove your tofu from the marinade and set in the skillet. Lightly brown the tofu on all sides. Assemble! Fill a shallow dish (I use a dinner plate) with very hot water. Place your rice paper in the water. Let sit for about 30-40 seconds, flipping half way through. 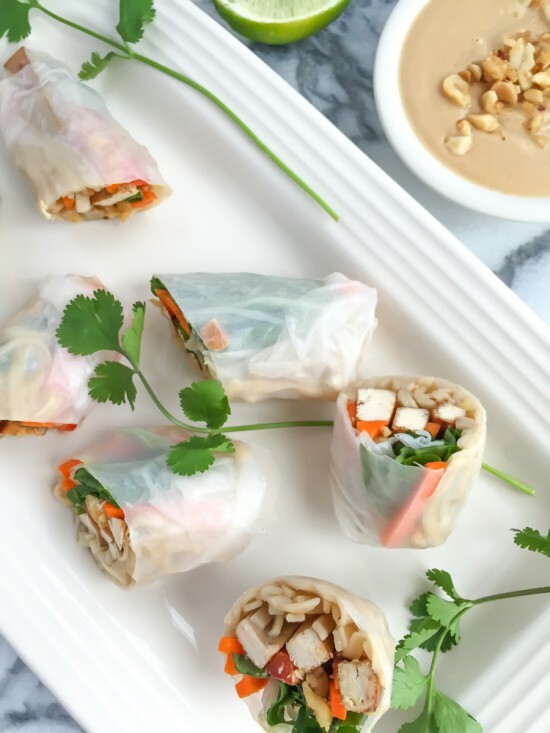 On a clean tea towel, lay out your rice paper. Pile fresh herbs, veggies, noodles, crushed peanuts, and then your tofu onto the middle of the rice paper. Flip the bottom over the pile, flip the sides in, and then roll until sealed. Continue making rolls until ingredients are gone. Serve with peanut sauce, for dipping.